The pocket-sized stand for all your gadgets. The MiniRizer is a credit-card sized version of the iRizer, that you can use as a stand for your iPod, iPhone, cellphone, or even business cards. The MiniRizer lifts and tilts your favorite gadgets to either a 40 or 50 degree angle - making it much more comfortable for you to watch videos on your iPhone or iPod, or keep an eye on your PDA or smartphone. A silicon pad cushions your gadget and keeps it in place on the stand. Take the stand, and testify. Just like our iRizer and iFold laptop stands, it's portable. 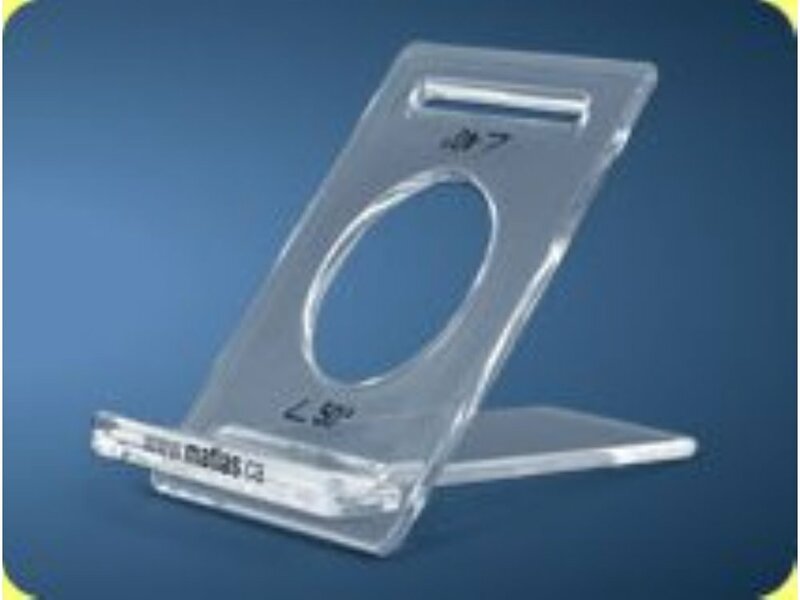 The MiniRizer consists of two pieces of slim, durable, transparent acrylic that easily slide together to form the stand. Disassemble the MiniRizer, and the two pieces pack flat, and slide into the convenient carrying sleeve.